Chilean prosecutors have obtained mixed results in key cases of domestic terrorism, but even partial success is progress in a battle that has left few suspects in jail. In one case, a court convicted a man of terrorism in the 2014 bombing at a subway station. Two other defendants were acquitted, but getting at least one conviction was a positive step. Prosecutors called the verdict "historic." Meanwhile, prosecutors were dealt a serious setback when 11 people were acquitted in the deaths of an elderly couple who died in the fire bombing of their rural home nearly five years ago. However, an appeals court overturned the verdict, which means there will be a new trial. The violence by radical Mapuches may be spreading to Argentina. Investigators in that country are looking into links between the Mapuche communities in both nations after a series of attacks in Argentina. Chile's defense budget is getting a 3% increase for 2018, to roughly $2.9 billion under currency exchange rates. That sum covers operational costs, payroll, vehicles, equipment, funds for military-owned companies and other expenses, but it excludes main weapons systems. Those are financed from a 10% tax on sales by the state-owned copper mining giant Codelco, which can greatly increase the military's purchasing power. Several billion dollars are believed to be socked away in that fund. But for the Army, Navy and Air Force, a total of $1.94 billion is budgeted, which is a drop of 0.5% from this year's outlays. Chile's police force is budgeted for a 2.7% increase for 2018, to about $1.8 billion in U.S. currency. The budget includes funds for 1,500 additional carabineros, replacement of 250 patrol vehicles and infrastructural improvements. The investigative arm (Policia de Investigaciones) is getting a 1.6% hike in expenditures to $507 million. That includes money for 1,200 more investigators. Chile's most serious security problems are internal, and it's the police agencies that are shouldering the burden of combating those. Police are battling a violent indigenous movement in the south, drug and auto crime along the Bolivian border, and sporadic attacks by anarchists and other extremists. The budget has been introduced in the legislature, which must pass it into law. But while the outgoing administration of President Michelle Bachelet crafted the spending plan, a new administration is taking office in March and will inherit the new budget. Was Chile Sending a Message in Armed Forces Parade? In a rare break from tradition, the Sept. 19 Armed Forces Day parade saw the Army put some of is heavy armor on display. Armored units usually don't participate in the annual parade, which is mainly a showcase for the military academies and for patriotic celebrations. But this year, elements of the Third Armored Brigade based in Antofagasta took part, the first time since the bicentennial parade in 2010 that tanks roll in front of the military brass and the president. It was a modest assembly of just a few Leopard 2A4 tanks, Marder infantry fighting vehicles, M-109A5 self-propelled howitzers and engineering vehicles. But with Bolivia's leaders unrelenting in their anti-Chile rhetoric, perhaps Chile wanted to remind its neighbor of the potent enemy it would face if the two countries ever came to blows. The Third Armored Brigade, in fact, would be one of the first to face Bolivian troops. Still, the possibility of armed conflict remains remote, largely because Bolivia's military is so inferior and Chile would mobilize its Army only if it saw a real threat. A bigger problem with Bolivia is the smuggling, car theft and drug traffic along the border. The radical indigenous movement operating in the south of Chile has stepped up its attacks, burning 29 trucks in a single assault and launching other attacks that have left dozens of trucks and logging machinery destroyed. Mapuche activists have long been targeting logging companies in a violent campaign to win back ancestral lands, a conflict that's only growing worse. Since 2010, more than 250 trucks have been burned, but the toll has risen sharply since last year. Some churches and government equipment have been targeted, too. Chile's government says it will combat the violence with its counter-terrorism laws, which limit certain civil rights. The attacks certainly aren't of the severity of global terror organizations such as ISIS. In another context, these would be just criminal acts, but the political overtones make them fall under the umbrella of organized terror. Years of conflict, ineffective policing and little progress on the central issue of land holdings have combined to create one of Chile's biggest security problems, and one with no quick solution. The latest wave of attacks comes amid the trial of 11 Mapuches accused in the killing of an elderly couple whose home was set ablaze in 2013. Truckers, meanwhile, have threatened to strike unless the government can provide better protection.UPDATE: Police arrested eight people in connection with the fires, including the spokesman of the Mapuche uprising. His home and others were raided in what police called a six-month investigation. Chile is evaluating the Israeli Aerospace Industries Long Range Attack system, a weapon with a range of 400 km — far more than any artillery system currently in the country's arsenal and anywhere in Latin America. LORA is being considered for deployment in the next decade and would be based on a ship platform, according to a report in Jane's 360. This may end up like so many rumored acquisitions that never materialize. But if LORA does come to Chile, it would mark a shift in military strategy, and not just because of the extreme range. Installed on a warship or even a commercial vessel, LORA could be moved around the expanse of the southern Pacific, providing more mobility than if the system were based on land. LORA also has the potential to change Chile's deep-strike strategy. A missile with 400 km of range and GPS guidance would lessen the need for F-16 fighter jets and the risks that come with an attack into enemy territory. Looking further into the future, any fourth- or fifth-generation fighter to replace the current fleet of F-16s would be costly, and a surface-launched missile would offer another attack option. LORA could take the deep-strike role from FACh, at least in part. LORA is a 5-meter long missile launched from sealed canisters. It uses GPS guidance to reach its target and is accurate to within a 10-meter radius, packing a warhead capable of penetrating reinforced structures. The Asmar shipyard delivered a new off-shore patrol vessel to Chile's Navy, the fourth in the series. OPV 84 Cabo Odger displaces 1,728 tons and measures 265 feet in length, with capabilities to stay on the ocean up to 30 days and travel a maximum of 8,000 nautical miles. The ship is armed with a 76 mm cannon and .50-caliber machine guns. OPV 84 will be based in Iquique, where the Navy faces a swarm of illegal fishing activity. Like others in the Fassmer-class OPVs, Cabo Odger has capabilities for search and rescue, environmental protection and a number of auxiliary roles. Each also has a hangar and deck for a helicopter. The Navy plans to build six of the vessels. The program started with the 2007 launch of the first ship, OPV 81, in what originally was going to be a fleet of four boats. Construction of the next two OPVs has not been announced. It's been said that Chile is an island. The Pacific Ocean, the Andes mountains and the arid northern desert are natural barriers that provide the country with ample separation from the rest of the continent. Those geographic features also afford Chile with formidable borders against foreign aggressors, and they are one reason the nation has seen few wars in its 206-year history. But Chile's unusually vertical geography is also its weakness and a challenge for military planners. Along much of the country, there's only one major north-south highway, and big chunks of territory can be cut off if those roads are blocked. This Achilles' heel became all too apparent after the 2010 earthquake and tsunami. With the main highway collapsed at several points, there was no way to reach many communities except by air or sea. Thus, air and sea transport are essential elements of the country's defense. Neither is well equipped, however. The Navy's transport fleet has a capable multi-role ship, a transport vessel (with capacity for 250 passengers) and three 1,400-ton landing ships. The Air Force has five or six Hercules C-130 transports, three KC-135s, one 767, one 737 (another 737 is for VIP transport) and about a dozen Twin Otter light transports. Those assets could keep a few battalions supplied during a conflict, and would be critical in any high-intensity conflict. On the ground, the Army has scores of trucks it can utilize to support its troops in the north and south, and private trucking could also be employed. Even with damaged roads and bridges, Army engineering units would be able to keep supplies moving, especially if there's enough air defense to protect against air attack. In future posts, this analysis will continue with a look at how land, sea and air units play their roles in defending Chile. A historic wave of forest fires has left much of Chile charred, a disaster that has underscored a lack of aircraft capable of fighting blazes. Fueled by years of drought, dozens of forest fires have broken out in the central and southern parts of the country. Teams from South America, France and other nations have rushed to the aid of Chilean crews overwhelmed by the sheer scale of the inferno. Some of those countries provided helicopters and airplanes with water-dropping equipment. Good thing, because apart from some helicopters dunking large buckets of water, the military has no aircraft with specialized equipment. 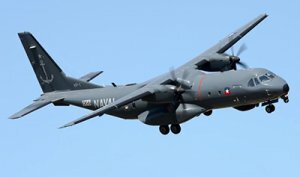 Brazil's air force sent a pair of C-130 Hercules that are capable of spraying large areas of flames, and some planes like that would be valuable in Chile, where forest fires break out every year. As they do in any disaster, Chile's armed forces jumped into action with bulldozers, security forces and other resources. Many soldiers have been pressed into service as firefighters. Military helicopters and planes are being used to ferry firefighters and equipment. Now, they may get some firefighting equipment. A group of lawmakers is pushing to create a firefighting brigade within the military, and to acquire airplanes specially equipped to battle fires, according to a report posted in Noticias FFAA Chile. As long as the military is responding to disasters, it will need to make firefighting one of its areas of responsibility. The Navy is getting more ambitious with its offshore patrol vessel program. What began as a four-unit fleet of modestly armed boats quickly was increased to five, and the newer ships have a 76 mm main gun. (The first two OPVs had a 40 mm gun.) Now, the Navy says it's considering using the successful Fassmer-class platform to build corvettes. Chile needs to replace its three remaining missile boats, and hopes the replacement ships will increase capabilities. After putting three OPVs into service since 2007, the Navy's Asmar shipyard has gained valuable experience building the 1,850-ton vessels and feels confident to take on a larger project. This is not a new idea. From the beginning of the program, the Navy had an eye on evolving its OPVs into small combat ships. A report in Jane's, via Noticias FF AA Chile, notes that the new ships could be operational by the time the three Saar 4 missile craft will be retired, within a decade. The corvettes might also be called littoral combat ships, and they would carry anti-ship missiles and an air defense system, plus more sensors. Removing the hangar and landing deck on the existing design, Chile's OPVs would have enough room to add those components. Jane's report says the corvettes would be at least 2,200 tons.